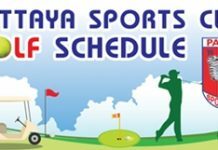 BANGKOK, Jan 16 — Thai Teenager Luksika Kumkhum made a winning Grand Slam debut with a stunning victory over world No 39 Sofia Arvidsson of Sweden in the first round of the Australian Open on Tuesday. The names Tamarine Tanasugarn and Noppawan Lertcheewakarn may be familiar to Thais and foreigners alike, but a new rising star has officially made her debut at the first tennis Grand Slam of the year in down under. To top things up, Luksika sailed through the first round with a two-straight set victory over world number 39. Luksika or “Luck” made history as the 19 year-old teenager played in her first-ever grand slam. Ranked as number 201 before the grand slam started, Luck who had played three qualifying matches before securing her name in the main-draw, needed 89 minutes to finish off the Swede. Surprising many critics, the game ended in two straight sets, with the score-line of 7 to 6 (tiebreaks 7 to 5) and 6 to 4. This win is the first step for a Thai, after Tamarine’s fourth round exit back in 1998. 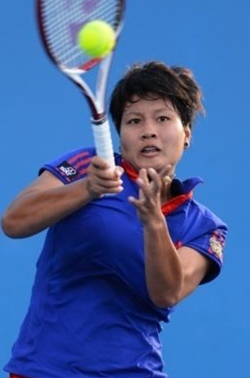 The Chanthaburi-native Luksika, the only Thai in this year’s singles event, will play in the second round against American player Jamie Hampton, currently ranked world number 63 on Thursday.